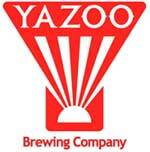 Hop Project #53 by Yazoo Brewing Company was appreciated at the brewery on tap and represents beer number 220. You can’t beat a beer on tap. So damn delicious. Hop Project is exactly that: a project in which they are always changing the recipe of an American IPA. I don’t know how the rest of these taste, but #53 is a solid offering. Caramel and toasted malts form a sweet backbone that are balanced by both citrus and pine hops. Pine is strong on the nose but takes a the back seat to the citrus hops in the mouth. Bitter in the finish but it doesn’t take away from the drinkability. I wonder how often Yazoo pumps out another round of the hop project as the brewery isn’t that old. If they are all this good the Nashville area should consider themselves lucky. If you are in the area make sure to stop for a pint or three. Enjoy! Useless Fact: Obsidian balls, or occasionally brass balls, were placed in the eye sockets of Egyptian mummies. The bandaging of a mummy often took from six to eight months and required a collection of special tools, including a long metal hook that was used to draw the dead person’s brains out through their nose. American craft beer number 213 comes as the precursor for long journey to Florida for the family vacation at Disney. The trip will include various stops for myself that include beer stores and breweries. Can’t get much better than that! Sue by Yazoo Brewing Company was picked for the short part of the day that wouldn’t be behind the wheel of the family truckster. So the job of Sue was to make me happy on a hectic morning with little time or patience for a bad beer. Sue delivered and a bit more. Good smoke qualities to this gem from Yazoo that mix with roast, chocolate and others to make a easy drinking complex beer. Yazoo has really piped my interest over the past few weeks with the four different flavors of beer I have tasted and reviewed. Enjoy! Useless Fact: When one adds up the number of letters in the names of the playing cards—ace (3), two (3), three (5), four (4), five (4), six (3), seven (5), eight (5), nine (4), ten (3), jack (4), queen (5), king (4)–the total comes to 52, the precise number of cards in a deck. American craft beer seems to be creating bigger and bigger beers per the beer geek wants and desires, it probably also helps that big beers can command big prices. What this means is that very few American breweries seem to concentrate or put much effort towards true session beers. For some that may raise the question of what is a session beer. Rather simple but a beer that has below a certain level of alcohol, usually 4.5%, so that you can “session” it without having too much alcohol in your system. Also, flavors don’t approach the levels of an imperial but there should still be good, quality aroma and taste. These should not suffer in spite of the low alcohol level. Dos Perros by Yazoo Brewing Company is a session American brown ale. Low abv of 3.5% puts it into the range of session. It still has a good taste for and ample aroma. Drinking this a bit above refrigeration temperature helps it come alive more (as most good American craft beers do). It is easy to drink and refreshingly light. This was my third beer from Yazoo and I am very satisfied with each. I have one more of their beers left and look forward to it. Enjoy! Useless Fact: At the time of Titus in fourth-century Rome, the Circus Maximus held 380,000 spectators. American craft beer number 200 of 365! Yeah. Celebration done. I will do another short lived one for 300 and then officially be completely happy once I hit 365. Having a beer for me is no where near a chore but always coming up with one that is different from the rest as well as making me happy on a long day after work, gives it some complications. Yes, day 365 will be welcomed. My first beer from Yazoo Brewing Company is simply named Hefeweizen. As soon as I hear that name or hear that a beer is associated with the Hefeweizen style my excitement level goes up a notch as it did with this beer from Yazoo. Hefeweizen has some good qualities that I appreciate in both the nose and taste: yeast, wheat, and clove as well as a nice lemon grass hop aroma. I found it to really be missing banana completely and, after a period of time in the glass, it started to lose everything but the wheat and yeast. That wasn’t horrible but it made me begin to wonder if this beer received in a transaction was all that fresh. I still enjoyed the beer and the beginning led me to believe they had a solid offering. Hopefully I can try one on tap some day. Enjoy! Useless Fact: Fashionable women in medieval Japan gilded or blackened their teeth. Today many Hindu women in India stain their teeth bright red to enhance their appearance.